I've just moved from Australia to Portland, Oregon to work for 6 months. Been doing a bit of hiking and climbing, but still very much a beginner. Did St Helen's on the weekend and really enjoyed it, although I know it's a pretty easy climb in comparison to many others. 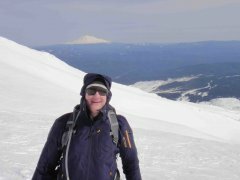 I'm very keen to climb Mt Hood, but don't want to get myself killed in the process. What are my options? Is it best to pay for a 'tour' or just get involved with a team that is heading up? Would really appreciate any information, or if anyone is looking for a very easy going Aussie doctor to join their climb, please let me know.